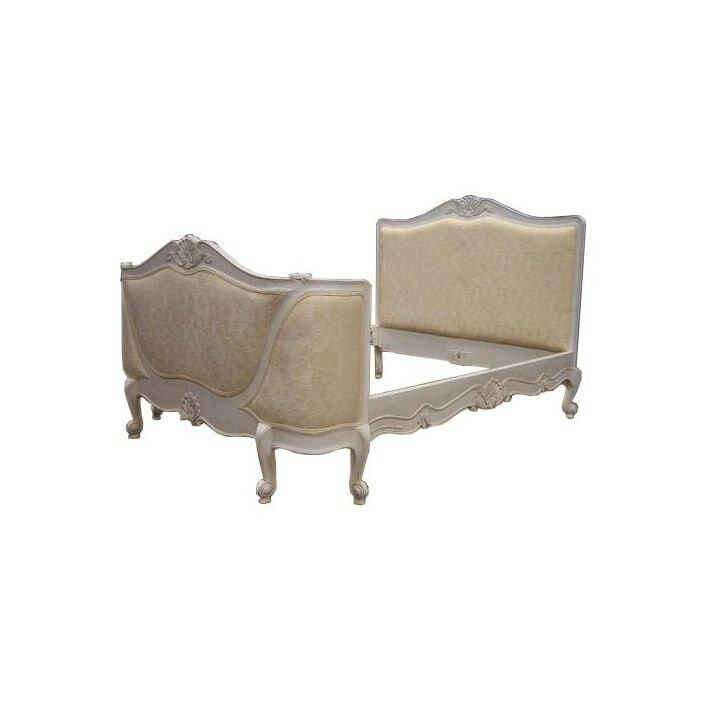 This Antique French bed with a curved upholstered foot board and headboard comes in a white finish. This beautiful classic style furniture has been made to give an antique, used but unique look and creates a wonderful image of the past. This fantastic bed works well on its own on co-ordinated with our stunning range of shabby chic furniture. This bed comes with a slatted base.